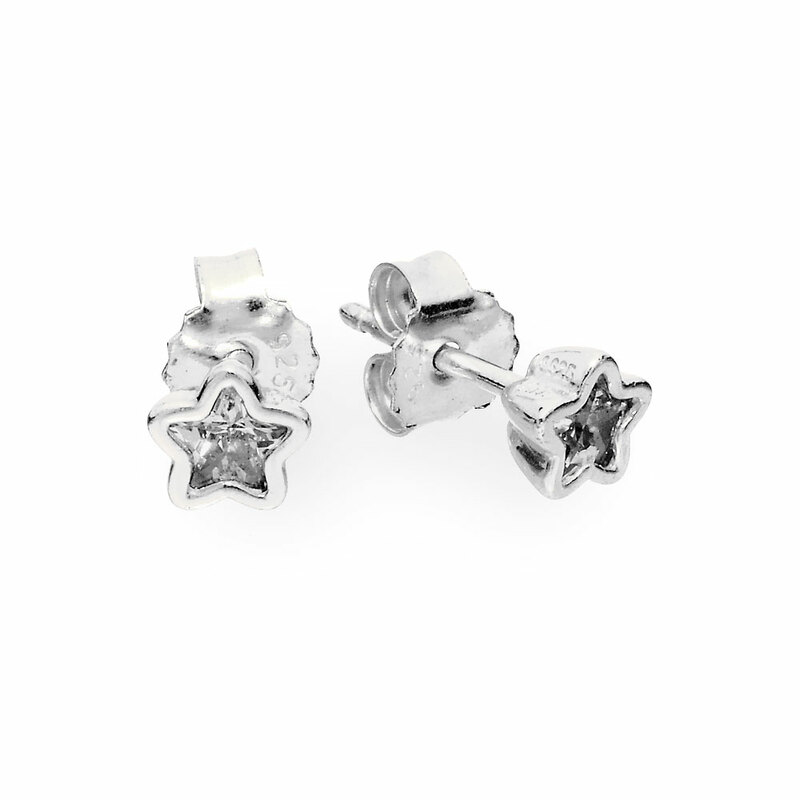 Shine bright with these glimmering Starshine Silver PANDORA Earring Studs featuring star-shaped cubic zirconia solitaires. Buy online or in-store. Starshine PANDORA Earring Studs is rated 4.6 out of 5 by 27. Rated 5 out of 5 by Meranda from Adorable Adorable little earrings that really sparkle. I’m not big on big earrings so if your looking for something very noticeable I wouldn’t get them. Rated 5 out of 5 by Julia from So sparkly! I've been eyeing these up for a while and decided to buy two pairs of these earrings as a Christmas present to myself. I wanted something smallish to put in my second and third lobe piercings that would just give off a little sparkle so that I can wear larger, more decorative earrings in my first holes without looking over the top. These are even more perfect than I imagined - they're so sparkly and the little star shape is a cute touch. These are going to be my go-to earrings from now on! I may even buy a third pair... The price is an absolute win. They are fantastic quality and so affordable. Rated 5 out of 5 by SharonRose from Perfect! We bought these as a gift for our granddaughter to wear at her dance recital to remind her that she is a true “star.” She was delighted. Good quality, sparkly, and just the right size. Perfect in every way! Rated 5 out of 5 by Chazzle17 from Great earrings! Love wearing these earrings. Great for any occasion! Rated 5 out of 5 by Betsey15 from My daughter loves them I like how simple they are but at the same time eye catching. Perfect for my 7year old daughter. Pandora never fails me. Thank you! Rated 5 out of 5 by Babo from Nice pairs of earrings I bought this few weeks ago and I really like it . The size is good enough for daily wear . Rated 4 out of 5 by Dianev from Beautiful and shiny. They are really shiny and I like them a lot I would love the if they were a little bit larger. Beautiful all the same! Rated 4 out of 5 by hollyod from pretty but needs more shine! I like the star design but was hoping they had a bit more sparkle!